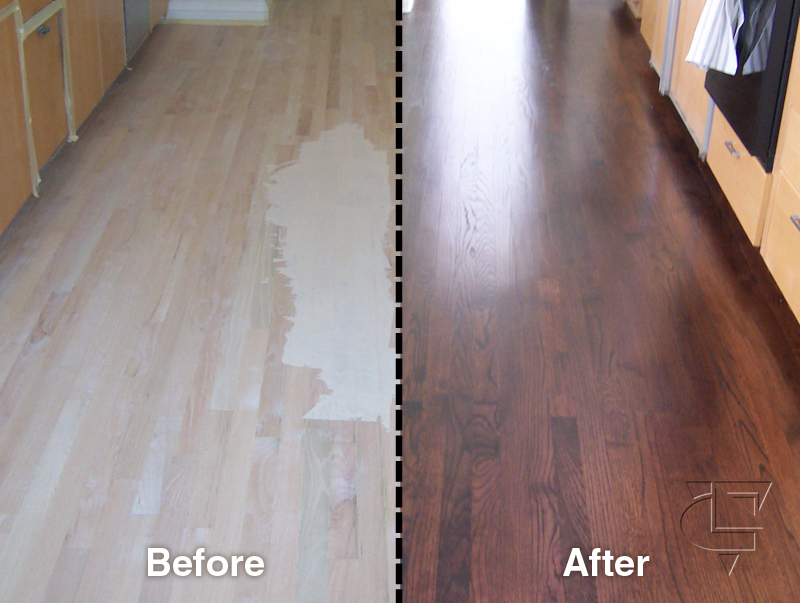 Here are some facts on our installation and refinish policies: (some policies can vary upon jobs or cities) Appliances: Oaklandwoodfloors.com. is not responsible for disconnecting or reconnecting of any gas, water or professionally installed appliances or fixtures. The customer must make arrangements for a professional to take care of this prior to and after our arrival. 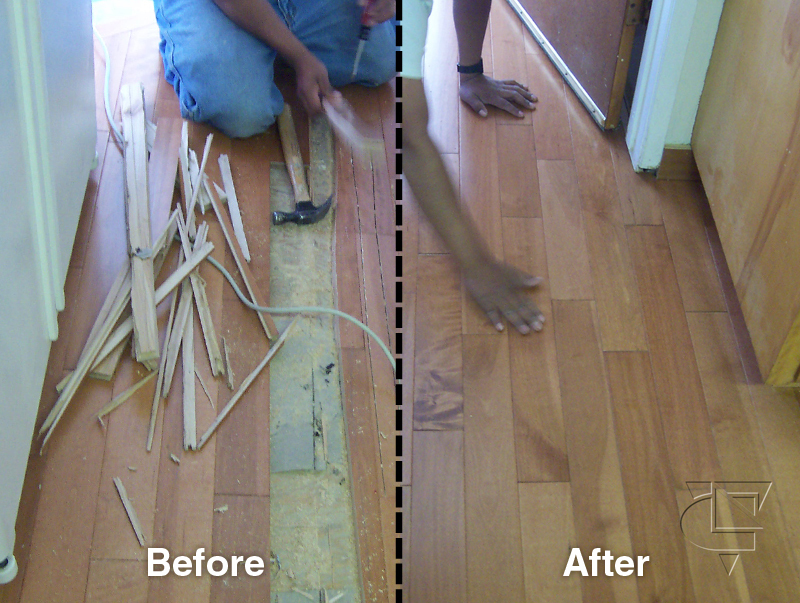 Baseboards: Oaklandwoodfloors.com is not responsible for damage done. The tools used for proper installation and refinishing can sometimes scrape or hit the wall. The customer must do any touch up after our services have been rendered. Our installers will of course try their best to cause as little or not damage as possible. Doors: Oaklandwoodfloors.com will usually remove the doors from their hinges to allow proper installation. We will re-hang your doors once the floor is laid if they do not need cutting. Frequently, installation of new carpet or vinyl will prevent doors from swinging or sliding freely. You should have a qualified carpenter or paid extra to us to cut or shave the doors to fit we are not responsible to do paint or repaint the door. Walls: Oaklandwoodfloors.com is not responsible for damage done. Our installers will of course try their best to cause no damage that all. Furniture: Oaklandwoodfloors.com will move some furniture if necessary, for an added cost. We ask you to empty the rooms as much as possible if not completely. If we do have to move items we are not responsible for their accidental damage. We will not move these items that follow: Water beds, pool tables, pianos, grandfather clocks, computers, lamps, books, dishes, pictures, stereos, electrical equipment, file cabinets, stoves, ranges, ice makers, valuables, or any other non-furniture items we dont assemble furniture. We do not disconnect alarm systems, cable or any electrical connections. Customer must also empty out closets that will have new flooring installed or refinishing. Existing Flooring: Floorsincalifornia.com charges to haul away old flooring. If requested we can cut up your old carpet into manageable pieces for your own trash hauler to remove them. If removal of an existing floor containing asbestos should become necessary during our installation, you will have to arrange for this work to be done by a certified abatement specialist. 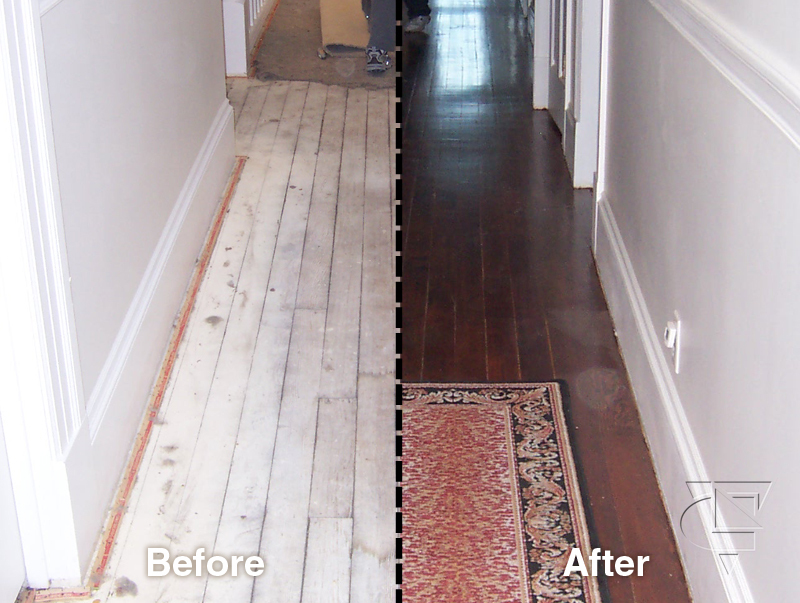 Prepping wood floors consists of removing baseboards, carpeting, linoleum, underlayments, and other objects that would prevent installation. 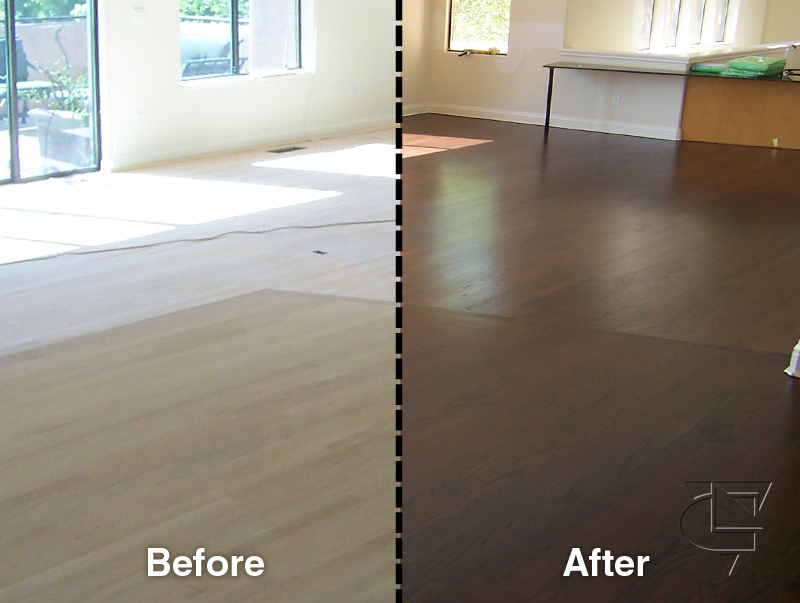 The time frame could be a few hours or a full day and can be an option that we are paid to do or that will already be completed before we arrive to install or refinish your hardwood floor. Installation generally takes between 1-3 days to complete, depending on the area involved. Installations over radiant heated floors may need to acclimate for 5-7 days after the flooring is laid out. 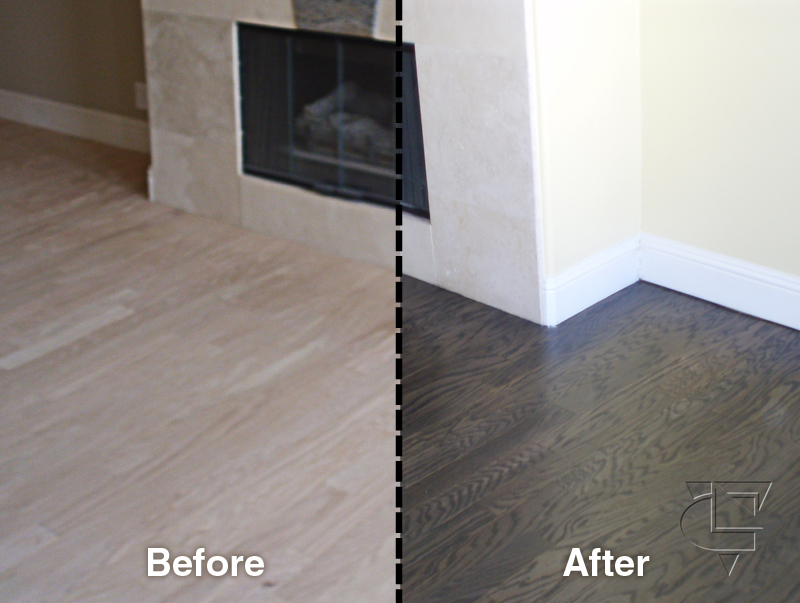 Once the wood flooring is installed it is important to keep the home heated to normal living conditions. Leaving the home unheated may cause damage to the flooring. Sanding & Finishing usually takes 2 to 5 days. During this process you may choose to have us Visqueen (plastic sheeting) cabinets, doorways and other areas of the house off so as to limit the amount of fine dust that may escape from the work area during the sanding process. You must remain out of the property at all the times during the work process if you need access to the property call your project manager immediately. 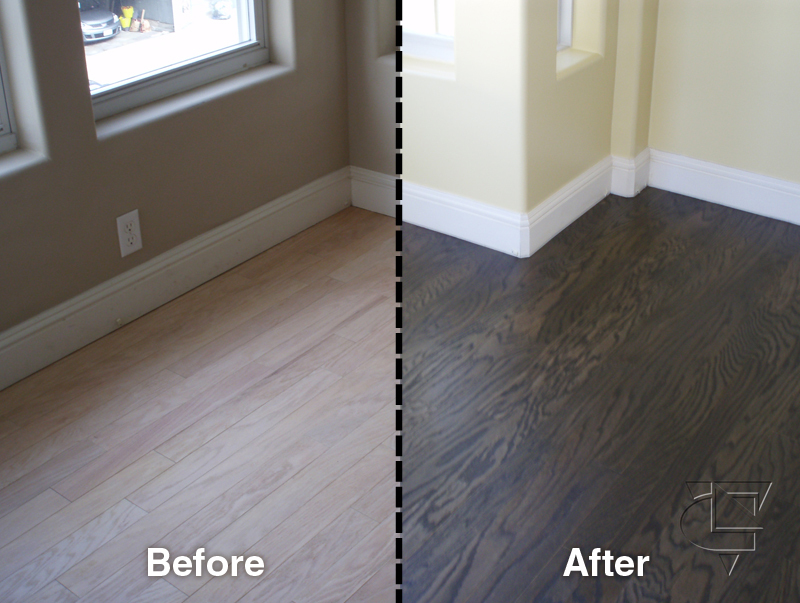 Oaklandwoodfloors.com prides itself in finishing with three coats as a standard any job except when customer paid for a extra coat. Our finish gives the floor excellent hardness, durability, and spot resistance. Each coat is applied and left to dry overnight if is an oil base and time varies if is a water base. Owner agrees to keep driveway clear and available for movement and parking of trucks and other equipment during normal working hours. If Owner denies access to any worker or material supplier during the scheduled working hours, the Owner will be held in breach of the Agreement and will be liable for such breach. Floorsincalifornia.com will not be required to commence work until the project site is in an adequate condition for work to begin. If project site is not in an adequate condition for Oaklandwoodfloors.com to begin work, it will be considered a delay under the terms of this Agreement. Owner must provide either keys to access the property, someone to open and lock the door every day, or a key in a combination box located in the property, owner must provide with instructions to open the property. 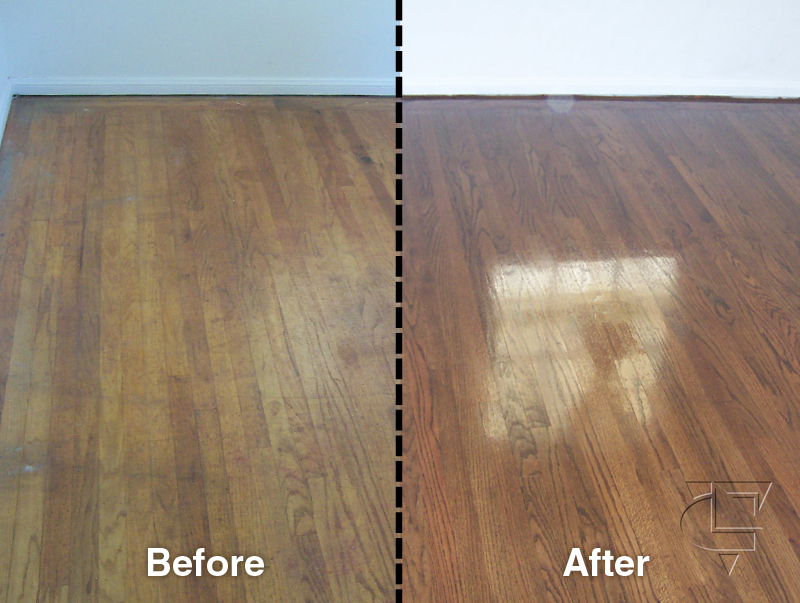 Oaklandwoodfloors.com shall not be responsible for claims arising from damages to persons or property occasioned by Owner or his agents, third parties, acts of God or other causes beyond Floorsincalifornia.com control. Owner shall hold Floorsincalifornia.com completely harmless from, and shall indemnify Oaklandwoodfloors.com for all costs, damages, losses, and expenses, including, but not limited to judgments and attorney fees, resulting from claims arising from causes enumerated in the paragraph, you enter the property at your own risk, our policy is clear that you must remain out during work process . You must understand your contract or work order and terms of service 100%, we will dont do anything that is not in the work order or contract if when you received el contract or the work order you must read every section and understand your work order 100% if something is not clear or specified you must call immediately your project manager and project must be stop.We cannot make color choices for you. We can only guide you to make your own choice. Oaklandwoodfloors.com prices for wood refinish included the labor and materials for hardwood floor refinish thats all, anything extra as a removal of floors, furniture moving, removal and installation of base-boards, pieces of trim, reducers, landings or any other accessories are not included in the price of refinish, if you hire any other services you must ask what is included for that price and before we start your project you must make sure that all the services that you request are included in the work order or contract. There is a minimum charge which varies depending on where you live. Ask your project manager for complete details. The Owner is responsible for having sufficient funds to comply with this Agreement. This is a cash transaction. You dont need to pay up front, but you must pay the deposit the first day when we start your project before the flooring crew leave at the end of the day. The Owner is responsible to be in the property when the crew finish the last day customer must paid the final payment there in the property before the crew leave, if we have to pick up a payment we will charge $55.00 per hour account all the time till destination of customer. This is a cash transaction. You must understand that we are working on a hard non flexible material, when we are installing wood floors or any other flooring we try our best to make the installation look the best possible, If we are working with an old floor you need to understand that we will do the best in our knowledge and experience to make your floors look great, most hardwood floors have small cuts that they remain in some areas sometimes. The stain is not absorb evenly so dont expect that the stain will be evenly and vivid as a paint, when is installation of stairs we will do the best to have your stairs look close to perfect, but gaps sometimes are unavoidable. To find out more about this and another section talk with your project manager. If the project or any portion of it is destroyed or damaged by fire, storm, flood, landslide, earthquake, theft, or other disaster or accidents, any work done by the Oaklandwoodfloors.com to rebuild, etcetera, shall be paid for by Owner as and Extra and dealt with as herein provided for under EXTRA WORK. It is the Owners responsibility to remove or protect any personal property including, but not limited to, clothing, carpets, drapes, furniture, driveways, lawns, and shrubs. Oaklandwoodfloors.com will not be responsible for damages or loss of said items. Prior to construction, the Owner is to give the Oaklandwoodfloors.com a copy of any easements, restrictions, or rights of way relating to the property. If Owner does not do so, Oaklandwoodfloors.com will assume that none exists. 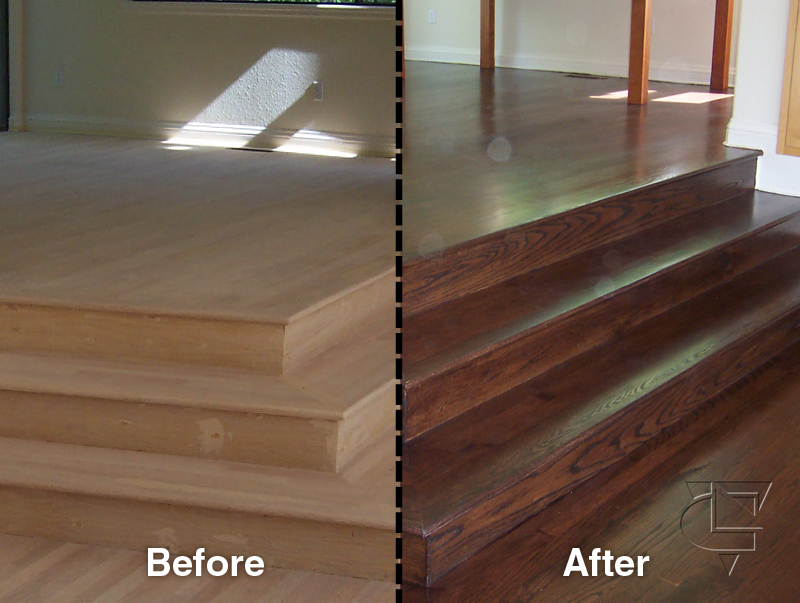 It is the Owners responsibility to provide Oaklandwoodfloors.com with all contact information (i.e. Home phone number and address, Business phone number and address, Cell phone number, FAX number, email address, etc). Oaklandwoodfloors.com used oil based wood floor stain dry fast from bonakemy sometimes we use Duraseal wood stain also oil base, Floorsincalifornia.com dont use water base stain for wood floors, the application of stain usually take less than one (1) day as a standard we always apply only one coat of oil base stain for wood floors, if you wish to have another coat you must paid an extra charge for this special service. Hardwood floor stain also get absorb by the wood unevenly, because of the density of some wood or the density of the wood grain, so dont expect that will look perfectly evenly in all the area, also remember as darker you go in the shade of the wood stain, more chances you have to see the age and imperfections of the wood floors that you have. Since the finish needs time to create the hardness, durability, and spot resistance to soaps, detergents, water, pets, fruit juices, ink, alcohol, etc. Avoid severe wear and washing during this time period. May be laid down 7 days after the last coat of finish, has dried, though if you can, waiting another week or two doesn't hurt. We strongly urge you to use a padding or underlayment under all wool rugs to prevent the possibility of dye transfer. Padding or underlayment under any area rug will also protect your floor, reduce wear on your rugs, and provide added safety and comfort. For best results it is recommended that you wait 2-3 days Before bringing your furniture back into the area. If you are unable to wait the recommended length of time then you should at least wait 24 hours after the last coat of finish was applied. It is also recommended that you use self-sticking felt pads on the bottoms of all pieces to avoid scratches to the surface and prolong the beauty of your floors to find out the difference between the cure time and the dry time talk to you project manager. our house must be kept completely closed during the first five to six hours of the drying period to keep moisture out and to prevent dust and other materials from settling into the finish.